How to get ready for Wintervale! Step 1: Mark your calendars for Sunday, March 4th (rescheduled from 2/25 due to weather!!) from 11 – 3 PM. Step 2: Cross your fingers that it snows! Step 3: Bundle up with your family and friends, and come down to the Intervale on February 25th for some free ski and snowshoe rentals, hot chocolate, delicious food and more! 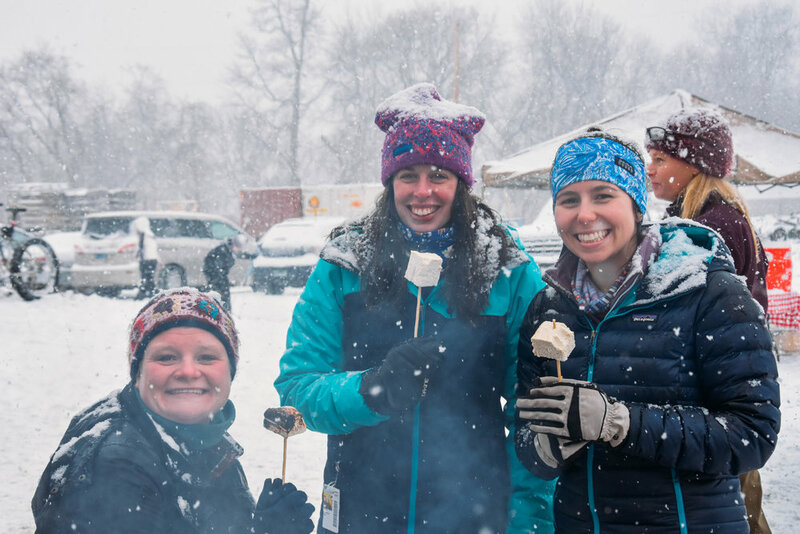 We will have a winter festival complete with a chili cook-off, outdoor equipment and demos, and a bonfire regardless of whether there is snow on the ground. Admission and equipment rentals are free (donations gratefully accepted), but bring cash for tasty treats like hot chocolate and food from Southern Smoke and Miss Weinerz Donuts! Many thanks to our sponsors and partners who make Wintervale possible!